that you'll love to use. Made with usability in mind. 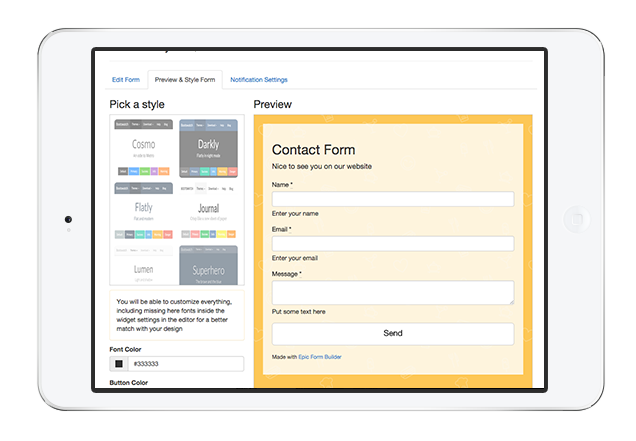 Create pixel-perfect, fully customisable cloud forms, with just a few clicks. 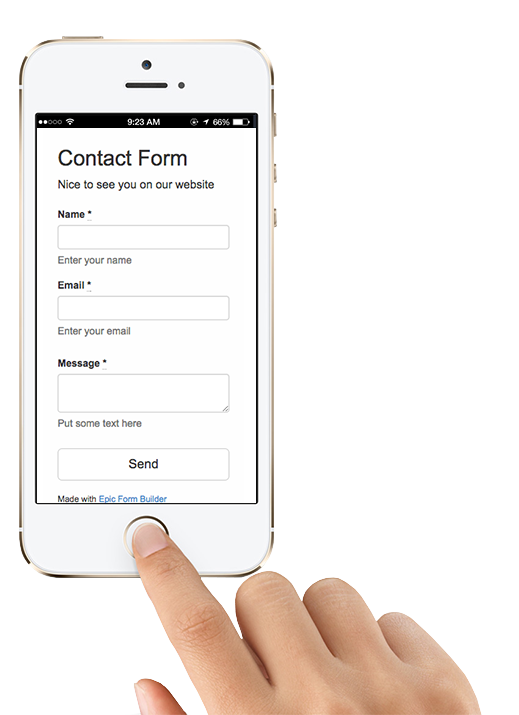 Epic Form Builder is the best form builder available. 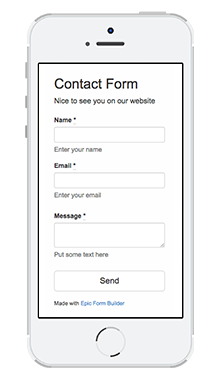 Create pixel-perfect, fully customisable forms with just a few simple clicks. Okay, let's install What else is there? Our rigorous and diligent development process means that you will benefit from new features or improved the old ones. Made with productivity in mind, we improving our service day by day, so you knew you are safe with us. Old as the world, well known Drag&Drop. Pick your mouse, click and drag. That is how things work within our form builder. You Forms are hosted in the Cloud. Available 24/7. Always there to collect submissions. Wow. Features. Who needs a product without them, right?